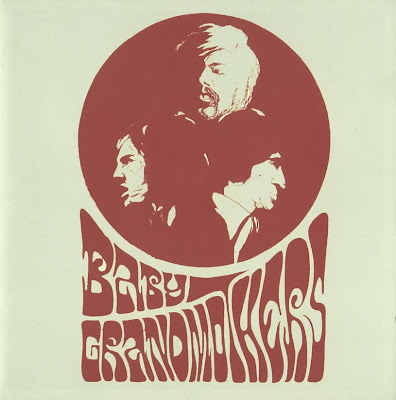 BABY GRANDMOTHERS is said to be one of the most prolific bands of the late 60s in Sweden. Hailing from Stockholm they were formed out of the beat band T-BOONES which started in 1965, had success with producing some singles and drifted into the psychedelia sound more and more. The first line-up consisted of Pelle Ekman (drums), Göran Malmberg (bass) and Kenny Håkansson (guitar) but Malmberg was soon replaced by Bengt 'Bella' Linnarsson. The band can be treated as ahead of time with a progressive experimental orientation playing long, mainly improvised songs oriented at Cream and Jimi Hendrix. Some of them were placed on a compilation which was released in 2007 by the swedish Subliminal label. They were recorded at the legendary 'Filips' club, a breeding ground for new experimental bands at that time. BABY GRANDMOTHERS also jammed with Mothers Of Invention and supported The Jimi Hendrix Experience on their Scandinavian tour at the turn of the year 1967/68. In March 1968 the band headed off to Finland for some concerts and in between they managed to record their one and only single 'Somebody keeps calling my name / Being is more than life'. The two songs are part of the 2007 compilation as well as one live track from the Finland tour. BABY GRANDMOTHERS turned into the reincarnated MECKI MARK MEN afterwards when collaborating with keyboarder Mecki Bodemark. They became the first swedish rock band touring the US. Later the original members went on to form the psych/folk band KEBNEKAJSE.